PARR/MARR: BRUNO HOULE ET ANTONIA THERRIEN. PARR/MARR: OMER ALLARD ET AMANDA LECLERC. PARR/MARR: ARMAND BIRON ET ROSE BOUDREAU. PARR/MARR: LOUIS PROULX ET ODELIE JUTRAS. 07-1854 AU REC. DE 1911. 11-05-1889 SUR LE REC.DE 1901. 08-1890 AU REC. DE 1911. PAR/MAR: VINCENT LECLERC ET CEDELIE JUTRAS. CT. NOTAIRE PANET LE 12-6-1767 À MONTMORENCY. 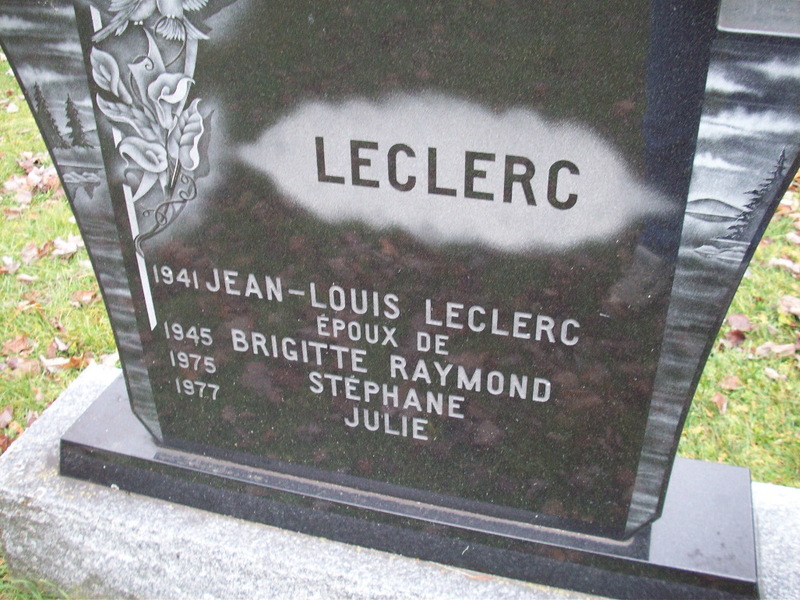 LECLERC Joseph-Léon dit LÉON AU REC. DE 1911. 05-1902 AU REC. DE 1911. PAR/MAR: ESDRAS LECLERC (EXDRAS LECLAIRE) ET MARY CLOUTIER. PARR/MARR: ALFRED COTE ET CHRISTINA LECLERC. PAR/MAR: FRANCOIS LAFOND ET MARIA COTE. PARR/MARR: SAMUEL PROULX ET CELANISE PROULX. LECLERC Laura dite LORA AU REC. DE 1911. 29-9-1896 SUR LE REC.DE 1901. 08-1893 AU REC. DE 1911. PAR/MAR: ANTOINE LECLERC ET ALDEA COTE. PARR/MARR: ANTONIE BOISCLAIR ET ROSE-DE-LIMA LAHAYE. 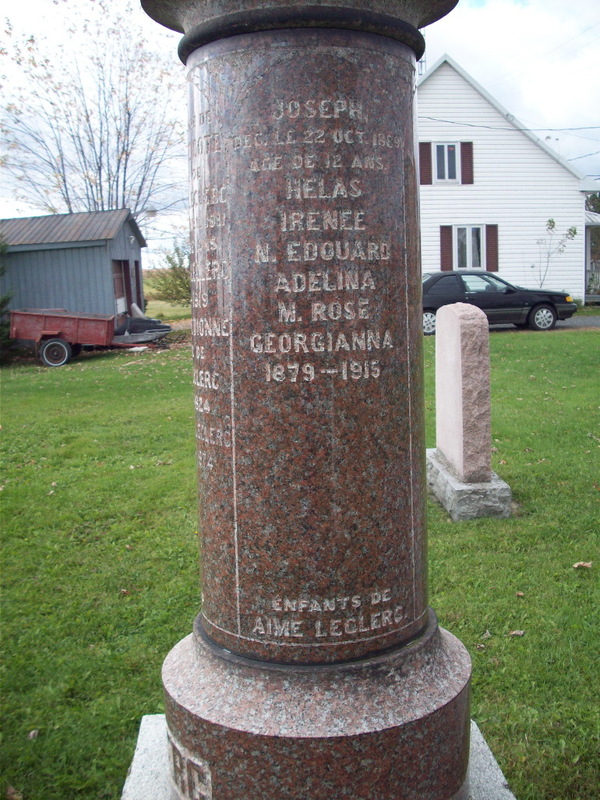 PARR/MARR: DONAT HOULE ET ALBERTINE LECLERC. 6 SEMAINES, IL EST DIT ERNEST SUR LACTE. septembre 1883 AU REC. DE 1911. CT. NOTAIRE J-E. DUBREUIL LE 18-10-1715. 10-1910 AU REC. DE 1911. PARR/MARR: JOSEPH ALLARD ET PHILOMENE HELIE. PARR/MARR: AIME LAFOND ET HELENE GOUDREAU.